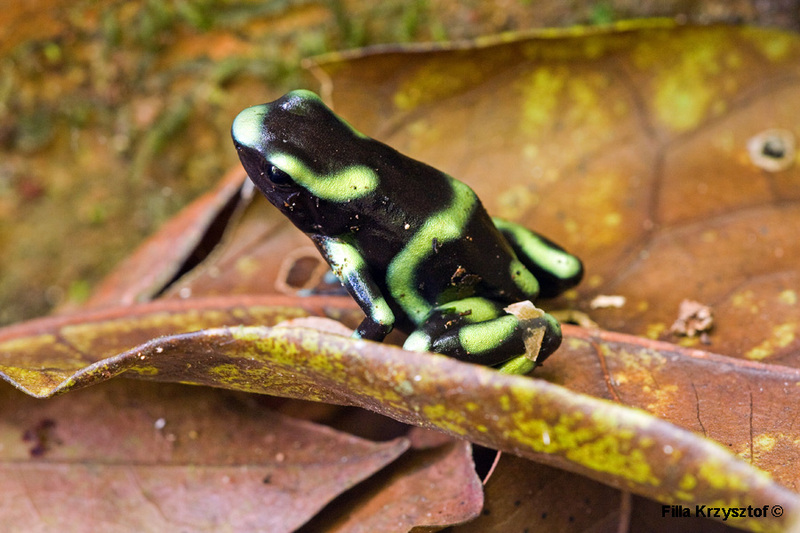 The green-and-black poison dart frog (Dendrobates auratus) is the largest of all poison dart frogs. Its size varies between 30 to 39 mm. They live in the forest floor and do not require a water source in their vicinity but are much more active after some rain. Like most poison dart frogs they are diurnal.